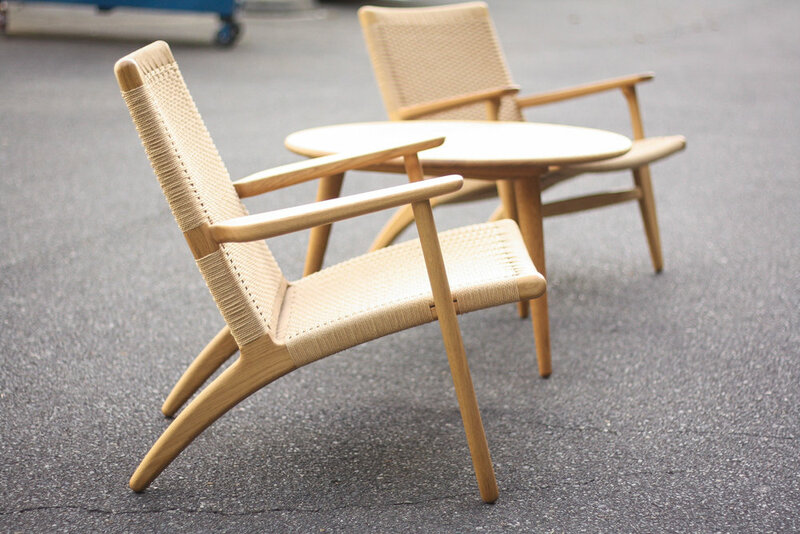 Designed in 1949, Hans Wegner's CH25 easy chair has become one of the most recognizable chairs of the mid century era. This, newer production, pair was manufactured by Carl Hansen and Son, whom Wegner designed this chair exclusively for. Shown paired in some images with a Wegner CH008 Cocktail/Coffee Table. The chairs feature beautiful oiled oak graining and mint condition Danish Paper Cord. 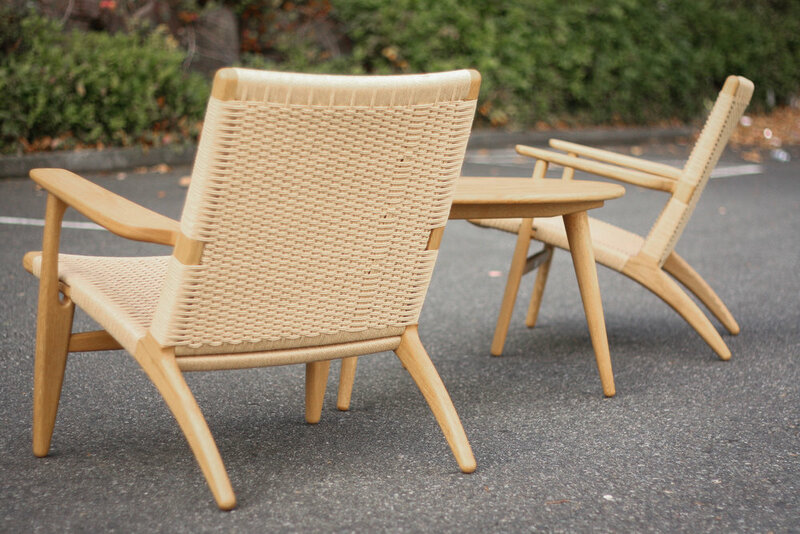 They are in perfect shape, retain their foil makers label verifying these are authentic Wegner chairs and not cheap replicas. No condition issues to note.